energy from living beings. A bit like a video camera only on a much more basic level. 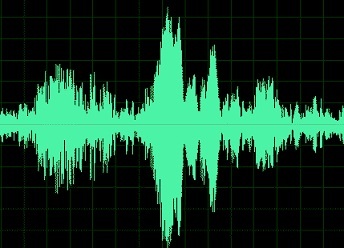 Many people also believe that when natural elements such as climate conditions and humidity levels are at the same as they were when the recording was taken, that they replay again.Researchers speculate that the recording is laid down during times of high emotional stress such as murder, grief or an important scene in someone’s life. This energy can be stored for an unspecified amount of time and the replay is triggered by the witness with the correct attributes. These attributes could include psychic ability, stress levels or even brainwaves and seem to set off the recording like a “psychic video”. The replay can take a form as a full manifestation or even sounds such as voices or footsteps and may even be repeated. 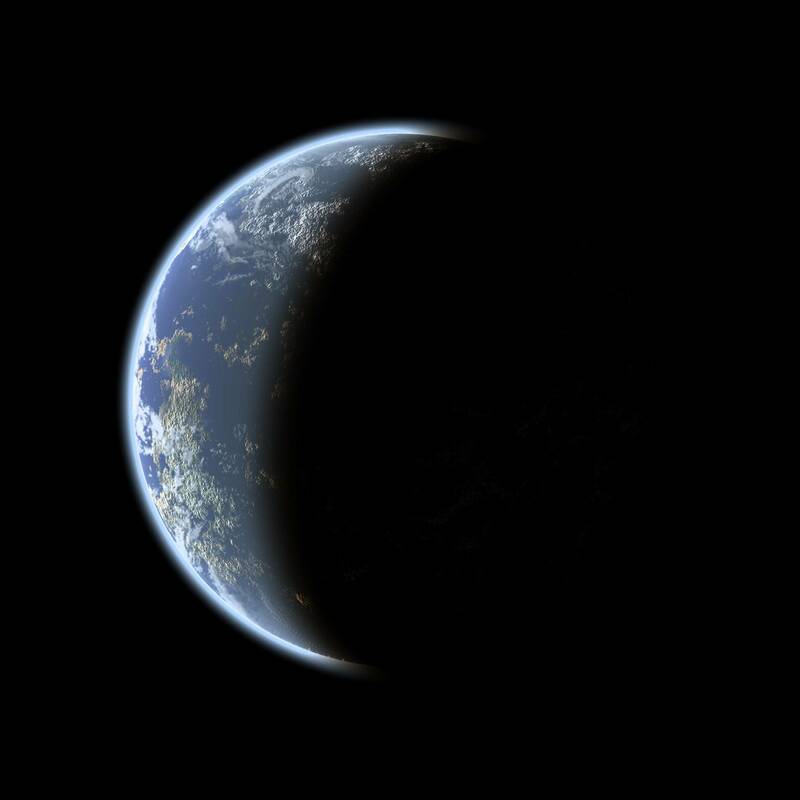 The theory certainly explains many of the sightings and incidents that occur, however no one knows for sure exactly what the recorded energy really is. The possibility that it could be our natural electric and magnetic fields seems remote but could it be another undiscovered energy? 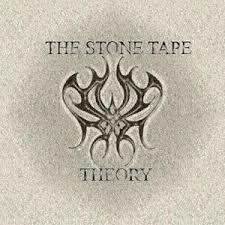 Many paranormal researchers accept that some ghosts behave like recordings (sometimes called the 'stone tape theory'. They show no knowledge of their surroundings and repeat the same actions whenever seen. They even sometimes appear to follow different room layouts from the existing ones, like walking through walls where doorways once were.. The case for a recording mechanism of some kind seems good. But is it? It is generally agreed by most researchers that there is more than one type of ghost. Suggested types include crisis apparitions, 'recording' ghosts, anniversary ghosts, road ghosts and sentient ghosts. Given their difference in characteristics, it is likely that these different types of apparition have different explanations. There may even be sub-types of, say, ‘recording' ghosts with different explanations. One of the problems with trying to explain ghosts is that many people, usually those who haven't studied the subject in depth, tend to think there is just one kind of ghost requiring just one explanation. One of the least contentious kinds of ghost, seemingly, is the ‘recording' type. We all know cases where the same kind of phenomena recur at the same places time after time. · Why do we only see an apparition? · Why not their surroundings as well? · If people are somehow being recorded, why not the whole scene? When you make a video recording you'd be surprised if you only got people on the playback. There are a few cases where a whole scene is witnessed like the Edge Hill battle, Versailles, but these are very rare and unusual and may well represent yet another kind of ghost with yet another explanation. An important first step in looking for any explanation of ghosts is to get beyond the common idea that it is a single, monolithic phenomenon. 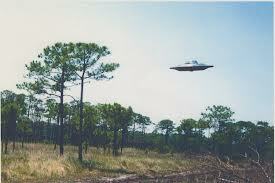 There is a parallel with UFOs. Most serious ufologists will readily concede that the term UFO covers many different phenomena with differing explanations such as weather balloons, planes, clouds, planets, laser light shows, earthquake lights, etc. What unites these diverse phenomena into a single one, at least in the popular imagination, is the idea that they are alien spacecraft. This idea has been hammered deep into popular culture by films, books and video games. Ufologists will tell you that a huge percentage of UFOs have natural explanations but there is a small residue of unexplained 'real' UFOs. Whether consciously or not, many ufologists still search for a single explanation for these 'real' UFOs, in spite of their experience with the ‘explained' portion. A similar situation exists with ghosts. What unites the various phenomena that we describe as hauntings in the popular imagination is the idea that they are returning spirits. There are odd noises, unexplained lights, object movements, smells and occasionally human figures. This type of phenomena could all have different explanations. So how do we come to the conclusion that such unusual occurrences are returning spirits? Not all ghosts have mundane explanations. However, there doesn't seem to be any other information to prove any different. These theories should start with the actual evidence, not with popular assumptions. A step forward is to differentiate between 'classic' and 'modern' cases of hauntings. Classic cases seem to be traditional hauntings, often dating back hundreds of years. 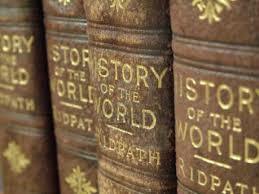 These cases are retold in history books and legend and tradition. Such cases may have been investigated several times down the years, but often without access to original witnesses. These original witnesses are generally no longer around or simply cannot be found. Often, the 'facts' of the case will be widely known. Some of these 'facts' may be exaggerated, misreported and stylised in a way similar to that of legends. See here for a detailed study. Modern cases usually have been investigated carefully by serious groups professional groups. Often the phenomena may only have started, or at least been noticed, recently. The investigators will usually have had access to the original witnesses, been able to examine the site while things are still taking place and perhaps held vigils there. Generally, the facts of the case will not be widely known to the public. No doubt there are people who will have personally investigated 'modern' cases where apparitions have been witnessed 'performing' repeatedly. However, these occurrence may be exaggerated by poorly researched 'classic' cases that owe as much to legend as history. All paranormal investigators want to see, and hopefully record, is a ghost. But how do you know the proposed site of your vigil is really haunted? If you are relying on a 'classic' haunting (possibly from a popular book or vigil accounts on the internet) to identify suitable buildings, you could be wasting your time. If you fill a building with enthusiastic, expectant researchers and tell them it is haunted, maybe even telling them exactly what to expect, it is inevitable that there will be misperceptions and wishful thinking producing apparently good evidence for a haunting. But what if the original case was not properly investigated in the first place? Everyone involved could be wasting their time and reporting false accounts. After all, the place may not even be haunted. The lesson is, before you do a vigil, investigate the case properly. Check with the original investigators. If you can't find them, carry out your own investigation. Talk to primary spontaneous witnesses, not just people who've been on previous vigils. Investigate the site yourself, in daylight, to look for possible natural explanations. Finally, when you do your vigil, try to find fellow investigators who don't know what to expect or know the history of the place. 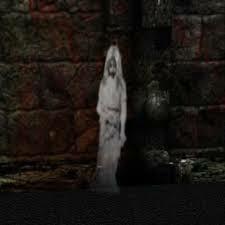 The reason why many of the ‘classic' ghosts are no longer seen is said to be that they fade away, like an aging recording wearing out, similar to the of VHS tape the picture didn’t last for ever. There is an alternative, rather cynical, explanation. Maybe the ghost, identified as Mary Queen of Scots, is still seen but simply doesn't really look much like her. Another, even more cynical, possibility is that the original ghost was merely a legend in the first place. Ghosts always do the same thing. The most impressive pillar on which the case for a recording theory sits is the idea that apparitions repeat themselves. In classic cases, as well as in fiction, the ghost is often said to be re-enacting some tragic part of their lives or trying to right some wrong done to them. But look at the following. Take two people, on two different occasions, see an apparition at the same place doing the same thing. If the second person is aware of the first sighting, then clearly suggestion is a possibility. But what if the sightings are completely independent? A researcher will collect the two accounts and immediately notice the similarities. This is perfectly sensible and leads to the entirely reasonable conclusion that the two people have witnessed the same thing. After all, what are the odds against two similar ghosts doing the same thing in the same place? As humans we have an inbuilt tendency to look for patterns and coincidences, which usually serves us well. But suppose there are slight differences in the description of the apparition and what it did. Many researchers would no doubt put these down to differences between the witnesses and the circumstances of their observation. Why? Because many researchers think they know what ghosts do.They know that ghosts repeat. In fact, the two witnesses may have seen something similar, but how do we know it was exactly the same? Suppose they both see a figure appear in a room and walk into a wall. How do we know it was the same figure and that it walked precisely the same route? It is a crucial point. A recording, as we know from video tapes, is always precisely the same. If the sightings are different in the slightest detail, it isn't a recording! At least not a physical one existing outside the witness's brain. If the apparition does similar, but not identical, things, there are two possibilities. It could be a 'recording' that plays only in the witnesses' brain and so might vary, according to differences between individual brains. Alternatively, there may be an environmental stimulus in the place where the apparition is seen, affecting both brains and producing similar, though not identical, results. An example of a stimulus might be lights moving across a wall at night, produced by distant car headlights through a window. The stimulus is the same. Most people would probably work out it was car headlights through a window, reflecting off a wall. However, some people, particularly visitors seeing them for the first time, might see them as ghostly lights tracking across a wall and mysteriously disappearing (the 'new house' effect). If two visitors reported the same thing, a researcher might decide, comparing the two accounts, that it was a genuine ghost. It is known that certain low-frequency magnetic fields can induce ghostly hallucinations in susceptible people in lab experiments. One objection to applying this in the field is that, at first sight, it might seem unlikely that suitable magnetic fields would be exceedingly rare in the environment. Another obvious objection to applying this idea in the field is that different people would experience different hallucinations from the same field due to differences in their brains. That is probably true. Any given magnetic field might produce any one of a number of different hallucinations in different people. Now, suppose there was a quite specific complex magnetic field present at our hypothetical haunted location. It could invoke similar, though not identical, responses in different people. The basic features: a dark figure walking about, say, might be provided by the magnetic field hallucination. The details: clothing, colours, facial features, could be filled in by the witness's brain. We are all familiar, from optical illusions, with the brain's ability to make sense of things and add non-existent 'detail' when necessary. We humans are notoriously good at seeing ‘faces' and human figures in random shapes. My main point is that with repeated, seemingly identical, reports of a particular phenomenon in hauntings, recordings are not the only possible answer. Another possibility is environmental stimuli, either constantly or intermittently, present. They may produce similar, though not identical, reports. It is often said, in 'classic' cases at least, that ghosts follow the old room layout of houses. If true, it could be an indication of a 'recording'. If we accept that this happens, for the sake of argument, how can it be explained? It could, of course, just be chance. If apparitions are the product of an environmental stimulus then they are essentially hallucinations and can do almost anything. So they can walk into walls and, sometimes, by pure chance, follow old room layouts. Would a researcher bother to report if an apparition followed a corridor that had never existed? They would be excited if the ghost followed an old layout but, if the ghost didn't, it might simply be ignored. How many cases are there where ghosts don't follow old room layouts? It is also possible that the witness, often the owner of the building, may be aware of old room layouts. Given the fact that everyone 'knows' what a ghost is supposed to do, the witness might 'make' their hallucination follow old layouts. It becomes a self-fulfilling prophecy. If anyone has a case they've personally investigated where an apparition followed an old room layout, I'd be very interested to hear from them (or indeed, a case where a ghost walks through a wall, say, but does NOT follow an old room layout). Ghosts are often described as wearing clothes from a bygone age. 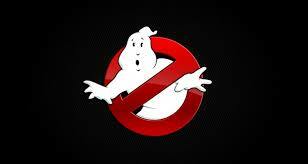 Ghosts have only been seen to wear period clothes since the early 20th century. Before that they were dressed in the contemporary style. That seems very odd if they are 'recordings'. On the other hand, it fits perfectly the idea that people have gradually learned, through the popular media, how ghosts are 'supposed' to behave. This who article originally appeared in Anomaly 36 and has been re-edited.